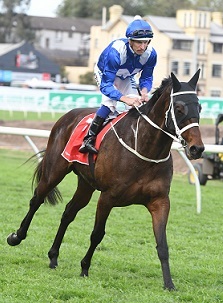 Champion Winx headlines an offical trial at Royal Randwick on Saturday. (Pic: Steve Hart). Champion mare Winx and five stablemates will take part in a special official trial at Royal Randwick on Saturday at 2.35pm. It will be the superstar's third barrier trial ahead of her return to racing in the Group 1 Chipping Norton Stakes (1600m) on March 3, a race she has won the past two runnings of. Jockey Hugh Bowman partners Winx in the 1200m gallop which will be broadcast live around the world on Sky Thoroughbred Central. Winx has won 22 consecutive races, including 15 at Group 1 level, and is the reigning Queen Elizabeth Stakes champion. Her autumn campaign is expected to take in the Group 1 George Ryder Stakes (1500m) on Golden Slipper Day (March 24) and she is currently the $1.40 favourite to defend her Queen Elizabeth crown on Day 2 of The Championships on April 14. Trainer Chris Waller has said he's expecting Winx to have a good hitout in the trial as an important stepping stone to her return.